Curvy Nollywood actress, Moyo Lawal, has continued to show that she is not just into acting for the money but for the passion and she is ready to interprete any role given to her. She is one actress that loves taking on very daring roles and she is never scared because it is a job she has signed for and ready to give in her best shot. 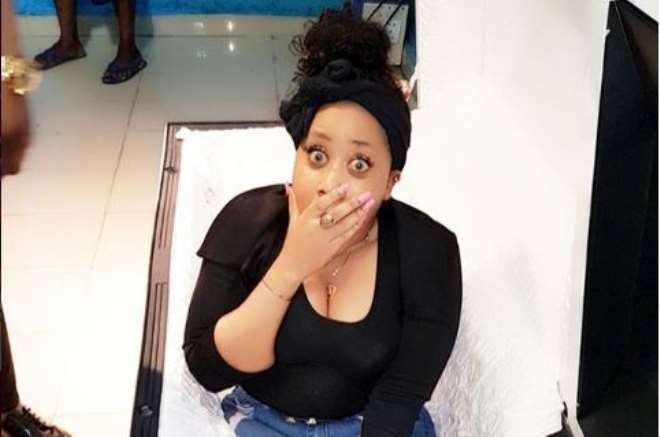 The actress is currently on set a new movie and she decided to share a daring part of the movie where she has to sleep in a casket. 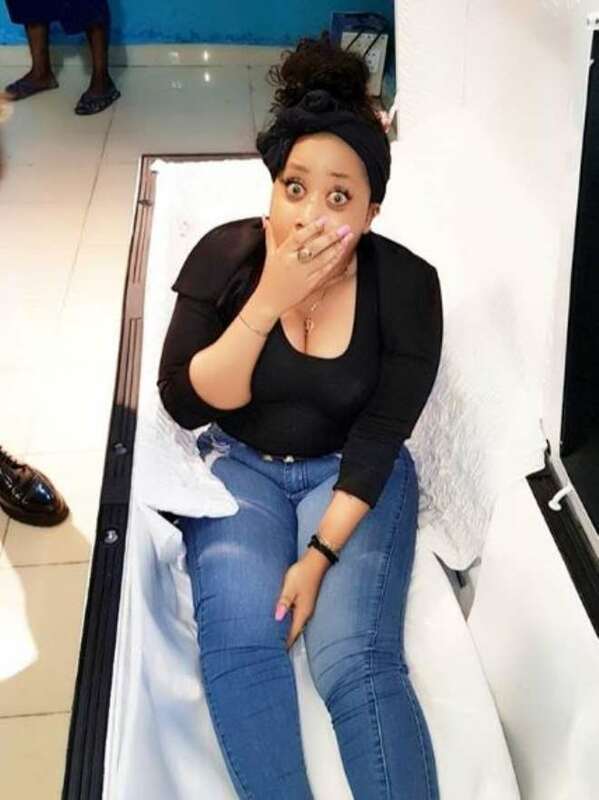 We don’t know if she is the one that will take that part of the movie but just to have a feel of how the casket is, she decided to sit inside and take a selfie before the main ‘death’ comes in due season.